MONROVIA – Montserrado County Attorney Cllr. Edwin Kla Martin says former Vice President Joseph Boakai and the leader of opposition All Liberian Party Benoni Urey are working in cohort with Representative Yekeh Kolubah to “unseat” the George Weah-led government. 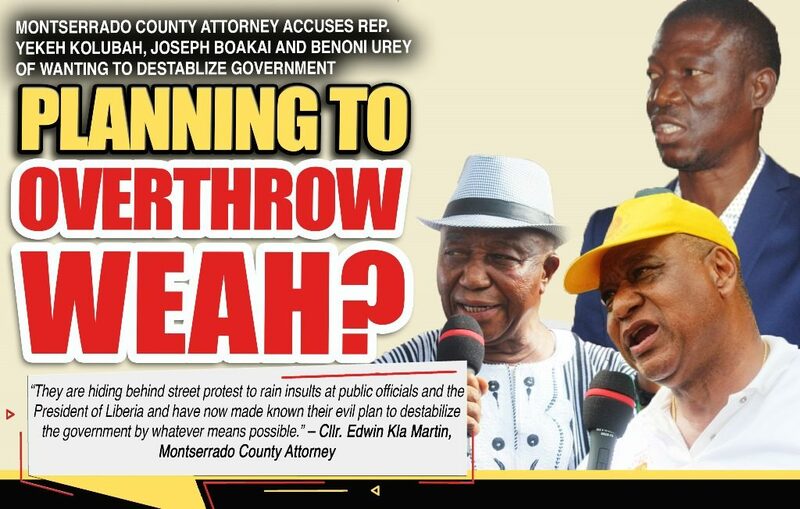 Cllr Martin’s allegation stems from a protest march recently organized by the Montserrado District 10 lawmaker on Sunday, April 14. According to Rep. Kolubah, the march, which was peaceful and guarded by scores of police officers, was intended to remind President Weah that “his days in office are politically numbered.” It was also intended for him to lend his support to the planned June 7 mass protest against ‘bad governance’. However, in a rather strong worded statement, the County Attorney on Monday said, “We register serious concern over the statement made by Rep. Yekeh Kolubah when he said ‘We will move as soon as you our leaders ask us to do”. Cllr. Martin noted that for Rep. Kolubah to make such remark in the presence of former Vice President Boakai and opposition leader Urey without any reaction from them suggests to him that they are all working in concert to disrupt the peace of the country and bring the tenure of President Weah to a premature end. “They are hiding behind street protest to rain insults at public officials and the President of Liberia and have now made known their evil plan to destabilize the government by whatever means possible,” he said. Both former vice president Boakai and Mr. Urey could not be reached for comments on the allegation on Monday. Cllr. Martin made particular reference to Rep. Kolubah’s assertion that they “will make the government of President George M. Weah to run away from power”. Cllr. Martin: “This behavior of the Honorable Representative is absolutely incompatible with the exercise of freedom of speech and freedom of peaceful assembly. 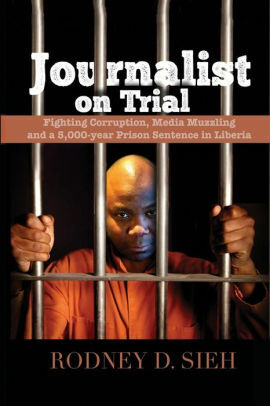 Even more troubling is the fact that representative Yekeh Kolubah took the stage in the presence of Mr. Benoni Urey, political leader of the All Liberian Party (ALP) and former constitutional Vice President Joseph Nyumah Boakai and openly threatened to overthrow the democratically elected government of President George Manneh Weah within three months without any reaction or open rebuke form either Mr. Urey or Former Vice President Boakai”. He added that the threats made by Rep. Kolubah cannot be taken lightly, instead, they are cleverly planned, organized and are being staged to achieve one objective, to destabilize the Weah-led government and impose upon the Liberian people a devilish and wicked system. However, Cllr. Martin has invited Rep. Kolubah to appear before him on Tuesday, April 16, 2019, at 12:30 PM for questioning over his alleged statements. When contacted, Rep. Yekeh Kolubah said he cannot subject himself to Cllr. Martin for any investigation. “If that County Attorney is under the influence of drugs, I am an elected representative of my people not appointed as the county attorney; therefore, I cannot submit myself to him,” Rep. Kolubah said.